Bioimpedance and Impedance Vector Patterns as Predictors of Male Elite Soccer Players. Bioelectrical impedance standards (resistance, reactance and phase-angle) are well established for the normal population or within the clinical setting and are considered indicators for cell mass, cell function and hydration status. However, such standards do not exist for the male soccer population. Therefore, the goal of the present investigation was to provide a set of bioelectrical impedance data of a large sample of soccer players with different performance levels. Methods: 893 players, registered within all Italian soccer divisions, were divided into 5 groups according to their performance level. Whole-body impedance measurements were performed during the first half of the competitive period. Besides estimation of body composition, the bioelectrical impedance vector analysis (BIVA) was performed. BIVA does not depend on equations and displays differences in hydration and body-cell mass (BCM). Individual vectors can be classified by using the 50%, 75% and 95% tolerance ellipse. In comparison to the other divisions and to the normal population, the mean vector of the elite-level showed a shift to the left (p<0.001). When compared to the elite-level, players of a lower performance level had lower phase-angles, BCMs and fat-free masses.The soccer specific tolerance ellipses might be used for classifying individual vectors and to define target regions for low level players. 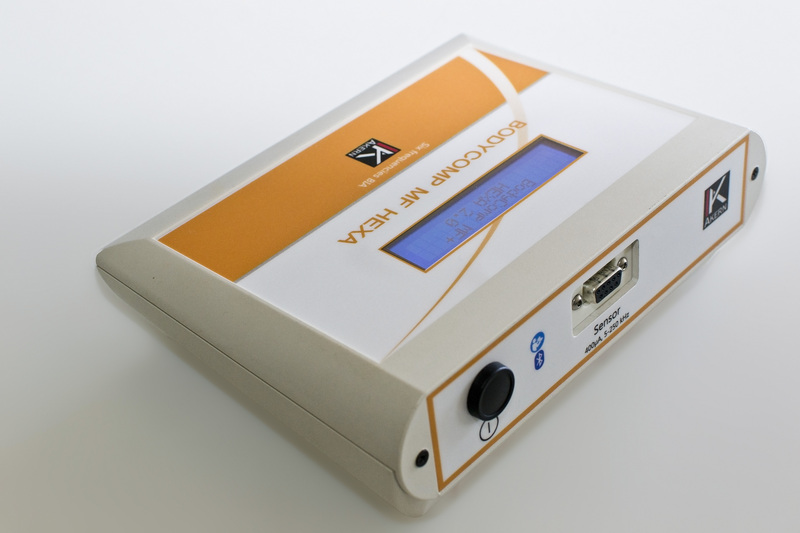 Researchrs performed their BIA & BIVA measurements with Akern BIA devices mod. BIA 101 and Anniversary Sport Edition.